“Skin tighteners are virtually pain- and downtime-free . . . . It’s a great option for someone who doesn’t want to spend what surgery costs or who isn’t ready for surgery but wants to fix the laxity. . . .There’s no downtime and next to no risk. You can’t even put a price tag on that,” the magazine stated. Here at The Langdon Center, we couldn’t agree more! We’re proud to offer New Haven County, Middlesex County and Hartford County’s most advanced array of non-surgical skin tightening solutions. Learn more about ThermiTight™ radiofrequency skin tightening, Precision TX™ laser facelift, SkinTyte™ laser skin tightening or all of the above! ThermiTight uses safe and effective radio frequency (RF) energy to heat tissue underneath the surface of the skin, causing toning and tightening. This minimally invasive procedure requires only safe, local anesthesia and poses little to no downtime. ThermiTight can tighten sagging skin on the lower face (jowls), neck, breasts, abdomen, upper arms and more. Revolutionary laser technology can safely and effectively help you achieve a youthful appearance, similar to results from a facelift, but without any incisions! 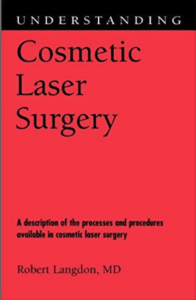 During the Precision TX procedure, targeted laser energy is used to deeply and safely heat the skin and the structural support layers typically addressed in a surgical facelift. 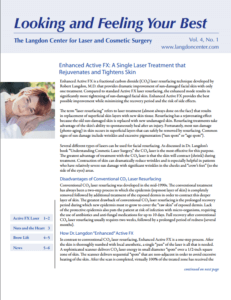 The laser energy promotes collagen contraction, which results in an immediate skin tightening effect. The results are amazing and long lasting! This infrared light energy, non-invasive treatment for skin laxity is safer and more effective than ever before; it is used to tighten skin on the face, neck, and arms. SkinTyte selectively heats the dermal collagen deep in your skin while simultaneously cooling the epidermis (outer layer of skin). After treatment, patients note a remarkable improvement in fine lines and wrinkles. A series of treatments may be recommended for optimal results. To learn more about any of the treatments discussed in this blog, schedule your consultation today! Call (203) 745-0340 or email cdyson@www.langdoncenter.com.